Savvy retailers know to keep an eye on current trends coming out of bars and restaurants, as they will soon affect off-premise sales. Customers experience what’s hot on-premise and then come to stores looking to replicate what they drank and liked. 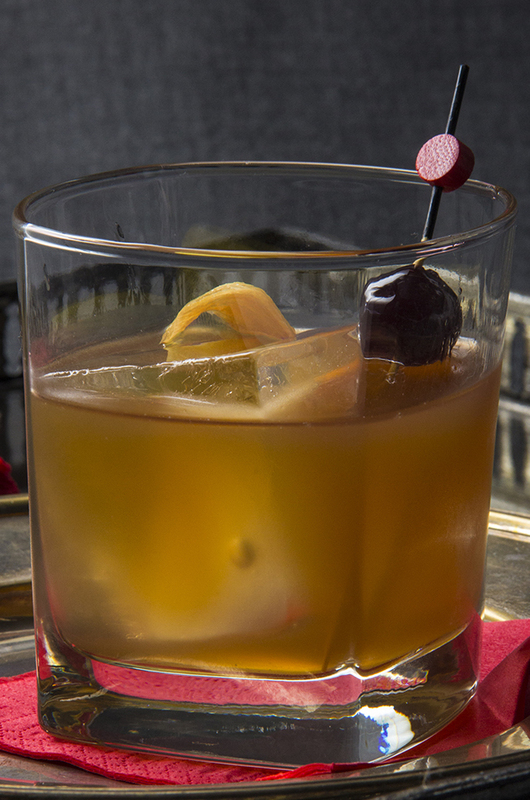 Fueled by the trends of cold brew and nitro coffees, mixologists are moving away from the overly sweet coffee liqueur and developing sophisticated cocktails, says Erik Lorincz, head bartender at the American Bar in London’s Savoy hotel. For instance, the American Bar created the Black Eagle Brewery cocktail, made with cold brew, blended whisky, red wine, Campari and grenadine. Smokey Café Old Fashioned, with Maker’s Mark bourbon, mezcal, orange/coffee syrup and chocolate bitters. The citrus flavor has crept into several beverage alcohol products, from Ballast Point Grapefruit Sculpin IPA to Captain Morgan grapefruit rum to Giffard Pamplemousse rose grapefruit liqueur to numerous pink grapefruit-flavored vodkas. Christian Hetter, beverage manager of The Berkshire Room in Chicago’s Acme Hotel, likes to find unique ways to work with grapefruit. For instance, Berskshire Room’s Red prebottled cocktail is a Paloma riff with tequila, Aperol and clarified grapefruit juice. Clarifying, or taking out the undissolved solids from the juice, brings out the pure, clean grapefruit flavor, he says. Bartenders have long used vanilla bean and extract to create cocktails, plus there are a number vanilla- flavored spirits, namely vodkas and a few rums. Crown Royal late last year launched a vanilla whisky expression. Vanilla will be big as consumers embrace pure and nostalgic flavors from their childhoods. “If you can find a unique application on a traditional or recognizable flavor, it will stand out and entice customers that much more,” says James T. Fransioli, head bartender/ hospitality specialist at Parker & Quinn in New York’s Refinery Hotel. For example, he makes a Soda Jerk Old Fashioned, which used a cream-soda reduction instead of the traditional sugar cube. The cocktail takes guests back to their first taste of cream soda as children, Fransioli says. Yuzu Rum Swizzle with The Perfect Puree’s yuzu fruit puree, lime juice, Cruzan Silver rum, Don Q coconut rum, Blue Curaco and Angostura bitters. The sour Japanese citrus fruit is delicious in cocktails, says Casey. She recently created a Yuzu Rum Swizzle with The Perfect Puree’s yuzu fruit puree, lime juice, Cruzan Silver rum, Don Q coconut rum, Blue Curaco and Angostura bitters. It’s an offshoot of a trend Casey sees of “varietal citrus,” such as blood orange, Valencia and tangerine. As an example, Jim Meehan of New York cocktail bar Please Don’t Tell fame, recently developed a Blood Orange Blazer hot toddy. Other baking—and pepper—spices will flavor cocktails this year, Haasarud says. “I’m seeing more spice being called out on menus, but being specific in the type of spice,” such as green cardamom, Vietnamese cinnamon, coriander, ancho chile, pink peppercorn, and so on. Whether it’s the actual fruit or as a liqueur or other flavored spirit, banana has been making its way into cocktail menus in the past year, according to Chris Hopkins, national accounts portfolio ambassador for Bacardi. Look for the trend to continue, thanks in part to the most recent rise of Tiki. Melissa Dowling is Editor of Cheers magazine.